You'll be £8.00 closer to your next £10.00 credit when you purchase Memoirs of a French Napoleonic Officer. What's this? 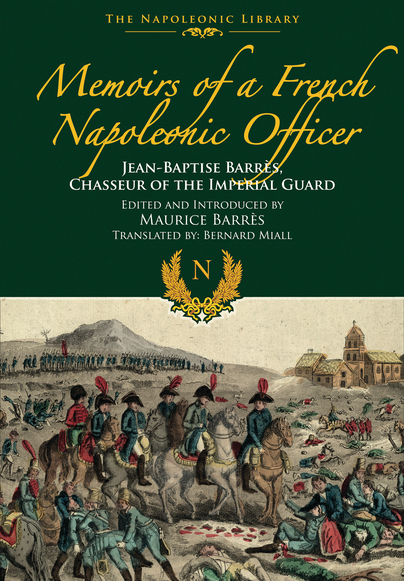 These lively memoirs date from the time of Barrs entry into the Chasseurs Velites (skirmishers, or light infantry) of Napoleons Imperial Guard in 1804. Always modest in recounting his own exploits, Barrs was not only at the cannons mouth, but also a participant at such spectacular events as the Coronation of the Emperor Napoleon in Paris and Rome, the torchlight procession on the eve of Austerlitz, the meeting of the two Emperors at Tilsit, and the magnificent military display in the Champ de Mars. His duties involved mounting guard at Malmaison and the palace of Saint-Cloud and also allowed him many fascinating glimpses of the Emperor at reviews, presenting awards and receiving trophies. This is a superb record of a serving soldier, making light of danger, sharing with the reader the fatigues and privations that attended so much campaigning in appalling weather and hostile country, and rejoicing as much in the outcome of a successful foraging expedition as his promotions and appointment as Chevalier de la Lgion dhonneur.